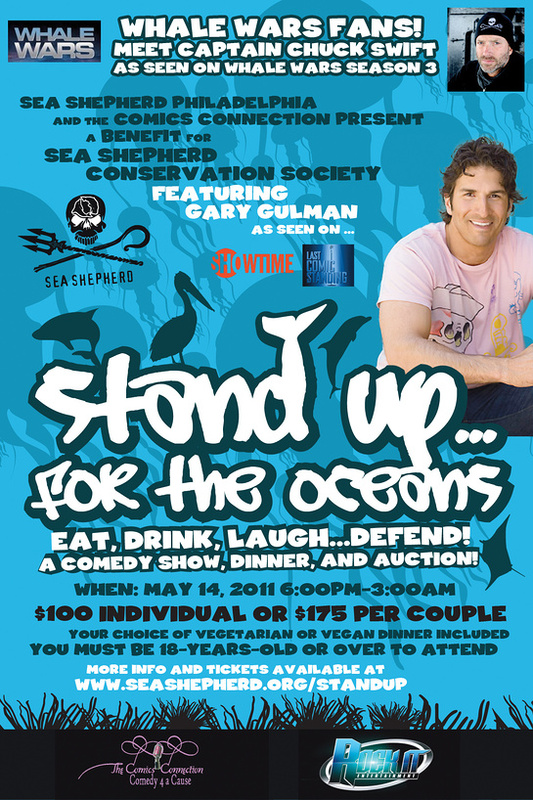 Join Sea Shepherd Philadelphia and Sea Shepherd Conservation Society on May 14th in Pennsauken, New Jersey, to raise money to continue putting a stop to illegal acts against all marine wildlife. 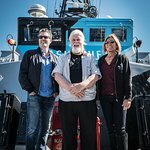 Special guest at the huge East Coast Sea Shepherd fundraiser will be Captain Chuck Swift of Animal Planet’s “Whale Wars,” DCEO of Sea Shepherd Conservation Society, and former Captain of the Bob Barker ship. The team from National Geographic’s television show “Rescue Ink” will also be present. They will be happy to meet you and tell you more about their wonderful organization and their zero tolerance for the mistreatment of animals. There will be dinner, then entertainment by the comedy of Maddog Mattern and headliner Gary Gulman of NBC’s “Last Comic Standing.” Gary has a Comedy Central Special: ‘Gary Gulman: Boyish Man,’ he’s appeared on The Late Show with David Letterman, The Tonight Show with Jay Leno, Jimmy Kimmel Live and ‘Showtime Presents Gary Gulman’ as well as many others. Gary also recently shot the pilot ‘Dinner with Todd Glass’ with Todd Glass and Sarah Silverman. After, it’s dancing and a party until 3:00 a.m.
Go to www.seashepherd.org/standup to learn how you can meet these courageous animal heroes, laugh at hilarious comedy, enjoy an amazing dinner and support ocean conservation with great friends.